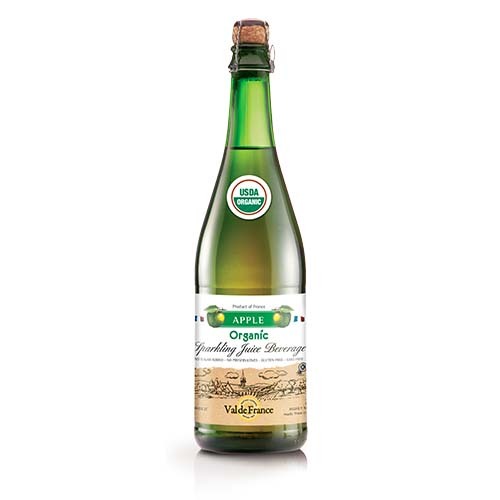 Val de France sparkling juice is USDA Organic certified. Its bottle is specially designed to guard freshness and carbonation. It contains less sugar than any competitor’s products (19 g vs 35 g on average). Really tastes like fruit ! Delicious paired with sandwiches, salads or pastries. It delights consumers who don’t drink alcohol. Their sparkling juice can be enjoyed year-round.